Sebastiano Festa was an Italian composer of the Renaissance period. While his musical output was small, he was one of the earliest composers of madrigals, i.e. secular (as opposed to religious) songs that were arranged for several vocal parts. One of Festa's madrigals, “O passi sparsi”, based on a sonnet by Petrarch, acquired some fame beyond Festa's limited circle. 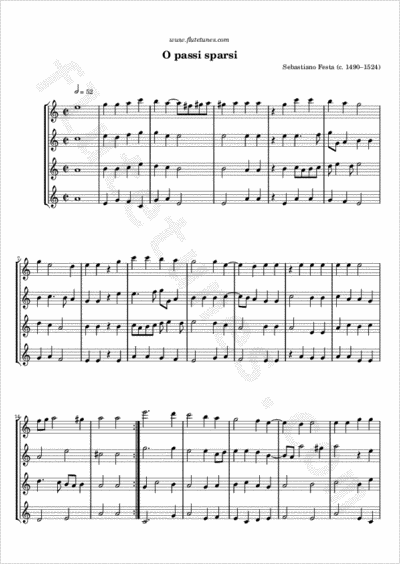 It was copied in many manuscripts up to mid-century, and appeared in instrumental arrangements as well.